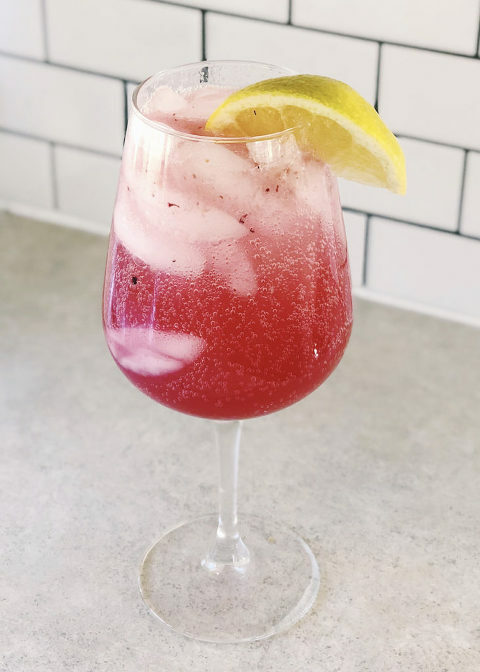 This low carb mock “kombucha” is a great substitute for traditional kombucha with significantly less sugar, tons of health benefits, and tastes so similar you might not recognize the difference. It is best to drink ACV in the morning about 30 minutes before you eat breakfast and your digestive system will thank you. *LaCroix flavors are interchangeable or even just plain club soda will work too. 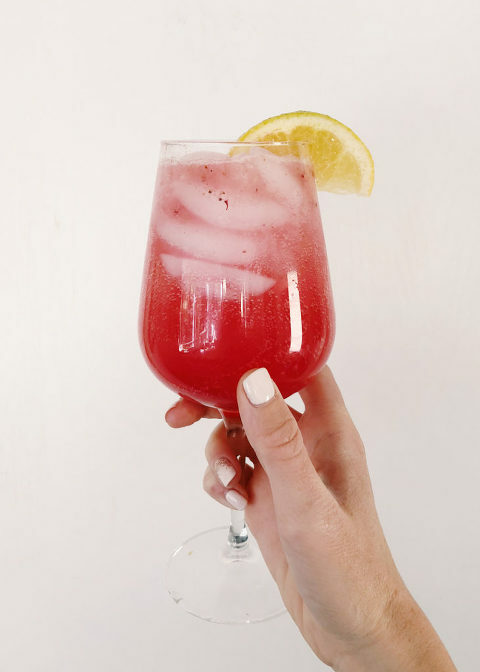 In a glass, add lemon juice, apple cider vinegar, and blueberries. Muddle blueberries in lemon juice and then add remaining ingredients.